The New Year has commenced with a flurry of activity and the promise of yet another exciting year ahead in CeRDI. Online Farm Trials, with funding support from the Grains Research and Development Corporation, is being expanded and enhanced during 2018 with substantial upgrades and activities planned. Late last year we received funding from the Collier Charitable Trust to support two important projects: the Wimmera Information Portal and Spatial Connect. Funding will extend the breadth of both projects, one which has a regional focus and addressing disadvantage, and the other, supporting school students to use spatial technology within the geography curriculum. CeRDI had a strong presence at the recent international Open Geospatial Consortium’s (OGC) Technical and Planning Committee. The OGC guides the development of international geospatial standards to achieve data interoperability. The event offered CeRDI team members Pete Dahlhaus, Andrew MacLeod and Bruce Simons an opportunity to contribute to core summit discussions in international agriculture and environment data exchange. A new scoping project for the CRC for High Performance Soils is underway with CeRDI taking the lead role in managing the first stage of research. This research will contribute to new knowledge around farmers’ needs, and of data management methods for soil health indicators. The findings will also inform future research activities for the CRC. CeRDI staff and associates continue to do well across a range of research-driven activities and awards. Nathan Robinson won the prestigious Soil Science Australia 2017 award for the best PhD for soil science, in Australia. A number of other staff and post graduate students in CeRDI are showcasing their research at conferences, and have had their papers included as published book chapters and journal articles. The Legal Services Commission of South Australia has launched their new look Law Handbook and website which CeRDI collaborated closely on. The Central Highlands Health Justice Partnership program is expanding, with additional funding secured to ensure the program’s continuation for another 12 months. These are just a few of the significant research activities and achievements of CeRDI. I encourage you to contact me should you wish to know more about any of our research activities. Online Farm Trials, which is led by a team of senior scientists, researchers and programmers at CeRDI, with funding support from the Grains Research and Development Corporation, is being expanded and enhanced during 2018. 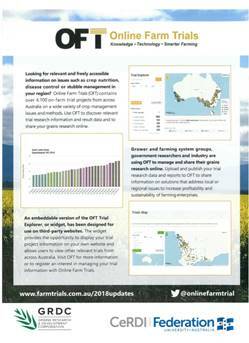 The OFT Trial Explorer (https://www.farmtrials.com.au/trial_data_explorer.php?show_disclaimer=true) makes it easy to search and filter over 4,700 trial projects contributed by nearly 60 organisations nationwide. OFT success has been achieved through a strong collaborative approach to engaging with grower groups, research organisations, agricultural experts and grains industry organisations. This ensures that the OFT project outcomes are highly relevant, practical and beneficial for the grains industry within Australia. Substantial upgrades and activities are planned for OFT in 2018 which will include enhanced search results and a more streamlined online interface. Seasonally relevant collection of trial information will also be introduced. Attendance at the GRDC Grains Research Updates, being held in key locations across the country. These forums showcase the innovative thinking and latest research outcomes relevant to the local region for agronomists, consultants, researchers and growers. Extensive engagement activities to build industry participation and trial data availability through OFT. Meeting with the OFT Expert Advisory Group (EAG) to obtain guidance from experts with strong broad acre cropping industry/research skills to ensure that OFT functionality develops in a manner that maximises profitability for Australian grain growers. Implementation of the next phase of the OFT impact research. Commencing a pilot for active trial management with organisations from across the GRDC Northern, Southern and Western regions. 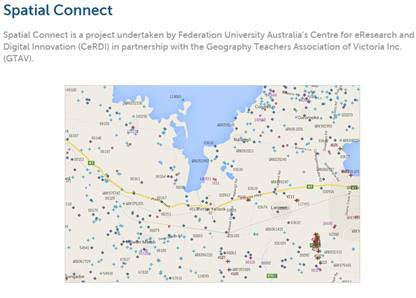 In late 2017, the Collier Charitable Fund awarded funding to two CeRDI projects, with Spatial Connect and the Wimmera Information Portal receiving a combined total of $80,000 in funds. The Wimmera Information Portal (WIP) brings the social, health and community services in the Wimmera region together under the shared aim of addressing systemic regional disadvantage. The Collier Charitable funding for WIP, totalling $50,000, will support the enhancement and consolidation of the online portal that has already been developed as a demonstration model. The WIP (wip.cerdi.edu.au) consolidates social, health and wellbeing datasets from key government agencies, not for profit organisations and community groups. The portal provides a single access point for data and offers a stronger platform from which to interrogate regional data. These advances will enable a holistic understanding across a range of the current and future issues for the Wimmera, further complementing regional decision making and enabling the implementation of community-wide strategies to address regional disadvantage. Spatial Connect received $30,000 from the Collier Charitable Fund. Spatial Connect involves the development of resources to embed the application of spatial technology in the national geography and science curriculum for primary and secondary school students. The funding will provide access to the resources required to develop curriculum that is aligned with the real-world knowledge initiatives in areas including agriculture, the environment, geology hydrogeology, urban planning and natural disaster planning and recovery. Spatial Connect will link students with technology applied to the science and geography curriculum. Exposure to technologies focused on contemporary issues will enhance students’ exposure to science, technology, engineering and mathematics (STEM). It is anticipated that this will lead to a greater uptake of STEM subjects by school students when they attend tertiary education, and in their future careers. Lead researcher on both projects, CeRDI’s Dr Angela Murphy commented that the project enhancements made as a direct result of the Collier Charitable Fund will make a substantial difference to the regions and populations of focus. Angela said the WIP “will help local government and key agencies in the region to access data that can be used to understand issues of disadvantage for the population and to unify the community under a common purpose, to find workable strategies to bring about change”. With Spatial Connect, Dr Murphy said that it would “open up new learning prospects, especially for students in rural and remote areas of Australia, where fewer opportunities currently exist for technology application associated with contemporary issues in geography. Spatial Connect will help to bridge this gap”. Research evaluation across both projects will enable the contribution of these new initiatives to be examined and measured overtime. CeRDI was well represented at the recent Open Geospatial Consortium's (OGC) 105th Technical and Planning Committee (TC/PC) meeting in New Zealand in early December. CeRDI’s principal research fellow, Assoc Prof Peter Dahlhaus, together with Bruce Simons and Andrew MacLeod attended the prestigious meeting of international delegates which also included two associated meetings: Geographic Information / Geomatics Technical Committee of the International Standards Organisation, and the Australia-New Zealand Forum. Two summits were also organised to create opportunities for open participation by New Zealand organisations as well as engagement between local and international experts around the key topics of environment and agriculture. The OGC is an international consortium of more than 525 companies, government agencies, research organisations, and universities participating in a consensus process to develop publicly available geospatial standards. OGC standards support interoperable solutions that ‘geo-enable’ the Web, wireless and location-based services, and mainstream IT. OGC standards empower technology developers to make geospatial information and services accessible and useful within any application that is required to be geospatially enabled. As an OGC member, the CeRDI team attended a range of events, focusing predominantly on the development and use of international agricultural and environmental data exchange standards. 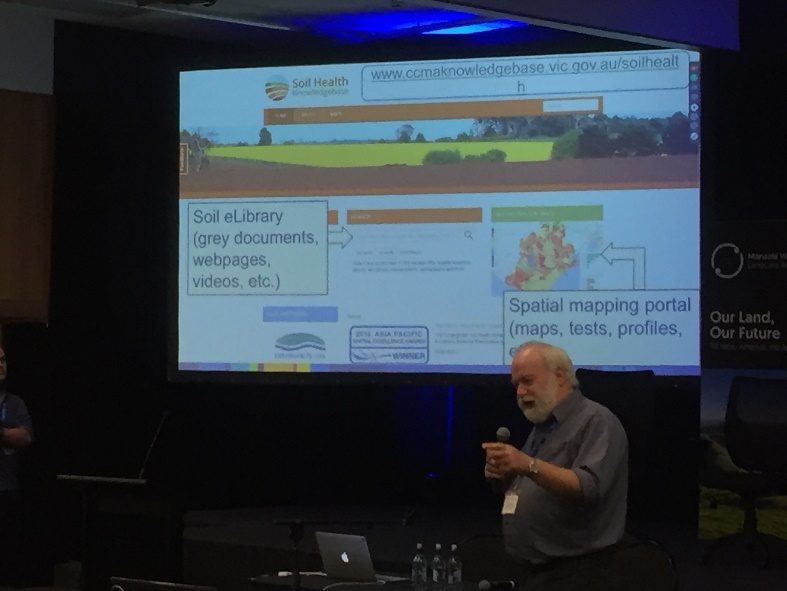 During the Agriculture Domain Working Group meeting, Bruce outlined CeRDI’s collaborative research with CSIRO and the Australian National Data Service (ANDS) in co-developing the Australian Soil Vocabulary Services. This program is contributing to international efforts to create global standards for soil data exchange. Peter also presented examples of CeRDI’s research at the Location Powers Summit which was aimed at encouraging data sharing and interoperability across digital agricultural data for improved decision support and farm profitability. Membership of the OGC has been critical to CeRDI’s success internationally. CeRDI has rapidly developed a reputation for being one of the few non-government organisations to co-develop and implement OGC standards for interoperability, and of federating data from disparate sources for real-world applications. 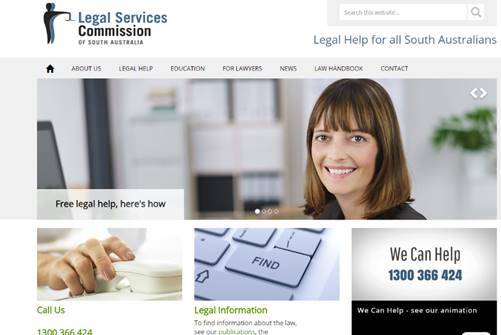 Redevelopment work for the Legal Services Commission (LSC) of South Australia has recently been completed, culminating in the relaunch of the LSC online law handbook and website. The new look law handbook and website reflect substantial updates, providing technology upgrades and a range of new features. The information available now includes consistent branding across both the law handbook and website. A range of enhancements have been made to improve the end user experience, enabling easier identification and access to the content offered by the LSC. Other features include enhanced graphics and slide gallery, access to social media and improvements in the delivery of online publications. In addition, the design functionality of the site has been enhanced to support all media devices. CeRDI has worked collaboratively with the LSC, across a range of project, since 2007. The most recent collaboration has supported LSC in meeting a range of new requirements including improving the ease of use and ongoing maintenance for the law handbook and website. CeRDI’s Craig Briody, Sudeera Abeywickrema and Scott Limmer have been closely involved with the project. The CeRDI team worked collaboratively with staff at the LSC to ensure all upgrade features have been successfully integrated. A substantial scoping project to review the role and function of soil health and performance indicators to examine farmers’ needs and data management methods is currently being undertaken in CeRDI, under the leadership of Assoc Prof Peter Dahlhaus. CeRDI is leading one of eight scoping projects and is participating in four of the other scoping projects, funded by the Co-operative Research Centre for High Performance Soils (CRC-HPS). In 2017, the Federal Government awarded $39.5 million over 10 years to the CRC-HPS to assist Australian farmers to make decisions on complex soil management issues. The aim of the CRC-HPS is to integrate research to provide farmers with the knowledge and tools they need to make decisions on extremely complex soil management issues. The CRC-HPS will bridge the gap between soil science and farm management. The CRC will also increase the level of innovation around Australia’s management, protection and value of soil assets. As a major participant in the CRC-HPS, CeRDI will contribute specialised computing, information analysis and data federating systems, using eResearch approaches. Interoperable technologies will also be used to enable greater exposure to the most current and comprehensive economic, environmental and social information and datasets while making the data available in other portals and applications. The first FedUni led research activity for the CRC-HPS is a soil health and function scoping project. Peter Dahlhaus is leading this project with involvement from other CRC-HPS partners including six universities, three government agencies and six industry groups. The project involves a comprehensive review of the relevance of reliable, easily measurable and practical indicators of agricultural soil health and function. The aim is to understand how the physical, chemical and biological indicators for monitoring and measuring soil performance are being used by, and are the most practical for improving profitability for Australian farmers. The proposed research will include an examination of data to measure and monitor trends and identify the tools for storing, sharing and making data available by understanding how soil indicators are currently being collected. Data will be gathered from key stakeholders in the agriculture industry, including farmers, using an online survey. Responses will then be analysed and consolidated and an overview presented at an industry-wide workshop which will generate additional project outcomes that will guide future CRC research development and planning. The research protocol for the first FedUni led CRC-HPS project has been developed and data collection will commence in coming weeks. Findings will be presented at the workshop later in the year. 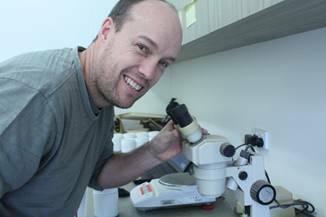 Dr Nathan Robinson, a Senior Research Fellow at CeRDI, has received the prestigious 2017 CG Stephens award from Soil Science Australia. The award is granted to the best PhD for soil science across Australia. Nathan completed his PhD at Federation University Australia in 2016, conducting research focused on digital soil mapping. Entitled “Assessing productive soil-landscapes in Victoria using digital soil mapping” Nathan’s research, together with his collaborations with other scientists on the project, is considered revolutionary for its digital organisation of soil mapping for Victoria. It has also been showcased with the wider soils and agriculture industries for its breadth and contribution to digital data. Nathan joined the CeRDI team in late 2017 after working for the Victorian government for 18 years in soil and landscape analysis. Nathan’s role in CeRDI is closely linked to his PhD. He is currently working with CeRDI researchers, including one of his PhD supervisors, Assoc Prof Peter Dahlhaus, in the area of soil science and is conducting research on advancements to spatial analysis to better understand the links between soil and the agricultural production systems. 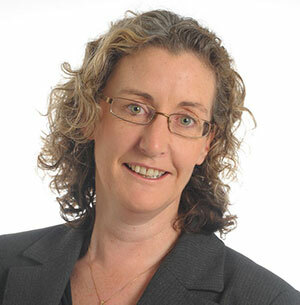 The Central Highlands Health Justice Partnership (CHHJP), an important local program offering an integrated legal-health service for young people, has broadened its partnership base to include Youthlaw, who in addition to other existing partner agencies have made a commitment to jointly fund the program so that an expanded service can operate over the next twelve months. This is an exciting new development for the program which was established after receiving major grant funding from the Victorian Legal Services Board and Commissioner. The CHHJP commenced operations in 2015 under the project leadership of Dr Marg Camilleri in collaboration with project partners Ballarat Community Health (BCH) and Central Highlands Community Legal Centre (CHCLC). The CHHJP was established to target disadvantaged youth in the Central Highlands experiencing health issues arising from their legal problems. Such programs have been implemented across the world, for different target groups, with much success. The CHHJP provides early intervention for young people experiencing multiple health and legal issues through the delivery of an integrated medical and legal service with a youth lawyer based across BCH sites. Since commencement, the program has assisted over 130 young people in accessing support for their legal problems. Extensive promotional activities associated with the program has enabled it to receive wide regional exposure, resulting in strong referrals from external agencies. The CHHJP achievements are explored in a recently released research report. Conducted by Marg Camilleri, Alison Ollerenshaw and others members of the research team in CeRDI this report details the research conducted alongside the establishment of the program, and throughout its first 18-months of operation. The research report evaluates the contribution of the program and provides important insights about the impact the CHHJP is having on young people in the region and in terms of building new capacity with the BCH Youth Team, and organisations referring young people or access outreach services through the CHHJP. The data from this research provides evidence that the needs of young people are diverse, and that not all young people are confident in seeking legal services. Embedding the youth lawyer within the BCH Youth Team enabled mutual understanding of professional roles, helped build rapport with BCH staff and developed a greater understanding of the range of health and legal issues experienced by young people. The additional benefit of an integrated program is that young people could be referred immediately to the youth lawyer. The effectiveness of an integrated model is strengthened through the provision of outreach by utilising existing relationships between workers and their clients, and this relationship is utilised to facilitate access to legal services. The evidence following implementation of the CHHJP supports the importance of such a program. It assists with improving the health and legal outcomes for young people through the implementation of an early intervention HJP and of building the capacity of agency partners to understand the impact of environmental issues on the legal and health of young people in the region. 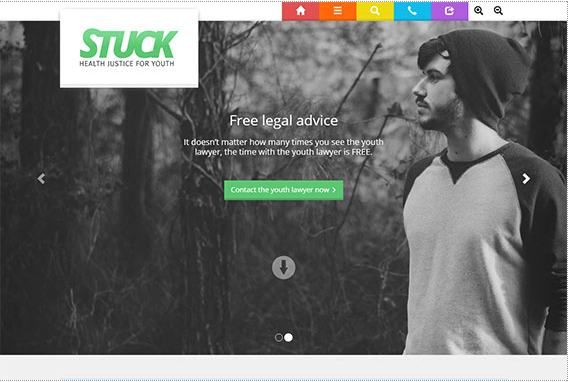 It also increases awareness amongst young people about the availability of legal resources. The continuation of the CHHJP will provide further opportunities to extend the research and to examine how integrated programs can address and improve the health and wellbeing of young people in our communities. Prior to working for CeRDI, Craig Briody completed a Bachelor of Computing at FedUni (formerly known as the University of Ballarat) and worked for eighteen months at a Melbourne-based software company gaining valuable practical experience in the ICT sector. In August 2002, Craig joined CeRDI as a Technical Officer and in 2005 was promoted to the position of web developer on a full time basis, a position that Craig still holds today. 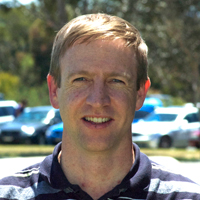 During his early career at CeRDI, Craig was involved in the development and delivery of community and organisational-based website projects such as; the Moorabool Community Online project, the various Fitzroy Legal Service's web solutions, and the National Association of Community Legal Centres (http://www.naclc.org.au/) project. Craig enjoys working within the CeRDI technical team to develop and deliver good web solutions for CeRDIs clients. Ben is a social scientist with a background in economics, human geography and management research. Ben commenced in CeRDI last year as a research fellow and conducts research and publishes on the social and economic impacts of digital agriculture initiatives. 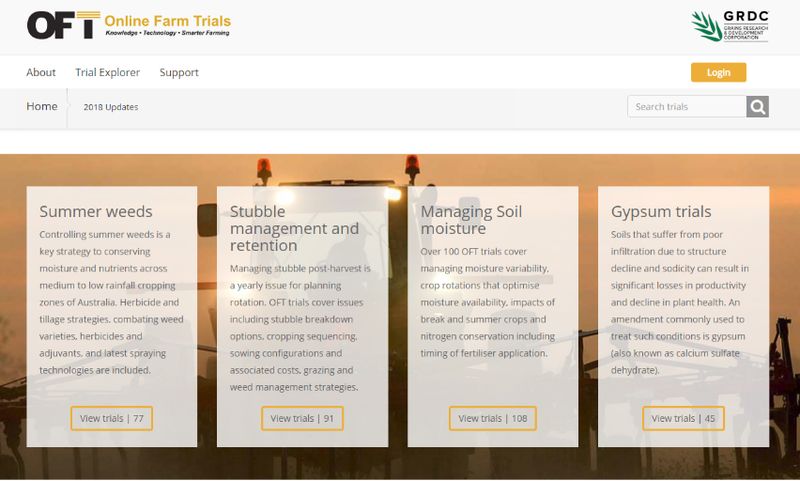 Ben is currently undertaking an audit of existing and future users of Online Farm Trials, contributing to the project design for future digital agriculture projects such as the Food Agility CRC, and integrating economic impact methodologies into CeRDI impact assessment work. Prior to working at CeRDI Ben was employed on the ARC funded Pathways to Market Industrial transformation hub project at the University of Tasmania where he used Value Chain Analysis to measure the impact of information systems integration in two, high value Australian food chains. As a mixed methods social scientist, Ben uses both qualitative and quantitative methods to explore the value creation implications of technology driven practice change for food producers and consumers. Ben was awarded his PhD in 2014 from the School of Business and Economics at University of Tasmania. His PhD research investigated how e-commerce dependent business models within the local/organic food sector are impacting consumer access issues. As a result of this research Ben has published in the Journal of Agriculture and Human Values and the Journal of Food Policy. In addition to his academic research, Ben co-founded Tasmania's largest retail food co-operative, Source Community Wholefoods, and has worked as a consultant on a number of local food system development projects in Australia and in the United Kingdom. Conference Presentation: Dr Birgita Hansen and CeRDI PhD student Pat Bonney attended the Australian Citizen Science Conference in Adelaide, 7 – 9 February. Birgita presented at the conference on the National WaterbugBlitz: Citizens assessing Australian waterways. CeRDI staff updates: CeRDI welcome two new staff members, Dr Imogen Schwarz and Peter Codd. Imogen will be leading the Youth CAN project and will be based in Horsham. Peter will be supporting the Natural Resource Management Planning Portal through his knowledge of legacy data and landscape change in south west Victoria since the inception of LandCare. Judi Walters is also returning to CeRDI support for the Online Farm Trials research. Industry internship: Over the last few months, PhD student David Ebbs has been undertaking an industry internship with City West Water culminating in the production of a report titled ‘Melbourne Sewerage Strategy – Sustainable Resource Use’. The report outlines over 30 potential uses for resources from the sewer under five broad categories: water, energy, other chemicals and nutrients, using the sewer for greater waste disposal and use of sewerage assets for other purposes. The report which is currently under review provides important information for the overall Melbourne Sewerage Strategy which will be delivered in September 2018 by Melbourne Water. David’s internship was facilitated by the Australian Mathematical and Sciences Institute. 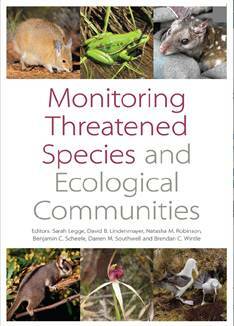 Ebbs, D., P. Dahlhaus, A. Barton and H. Kandra (2018). Losing Stormwater: 60 Years of Urbanisation and Reduced Downstream Flow. WSUD 2018 & Hydropolis 2018. 'Creating Water Sensitive Cities'. 10th International Conference on Water Sensitive Urban Design. February 12th – 15th Perth, Western Australia, Australia. Ebbs, D., P. Dahlhaus, A. Barton and H. Kandra (2018). Exploring a Flow Regime and its Historical Changes Downstream of an Urbanised Catchment. WSUD 2018 & Hydropolis 2018. 'Creating Water Sensitive Cities'. 10th International Conference on Water Sensitive Urban Design. February 12th – 15th Perth, Western Australia, Australia. Ebbs, D., P. Dahlhaus, A. Barton and H. Kandra (2018). "An unexpected decrease in urban water demand: making discoveries possible by taking a long-term view." Water Policy. wp2018096; DOI: 10.2166/wp.2018.096.